Vitamins in the form of candy so you'll enjoy taking them! 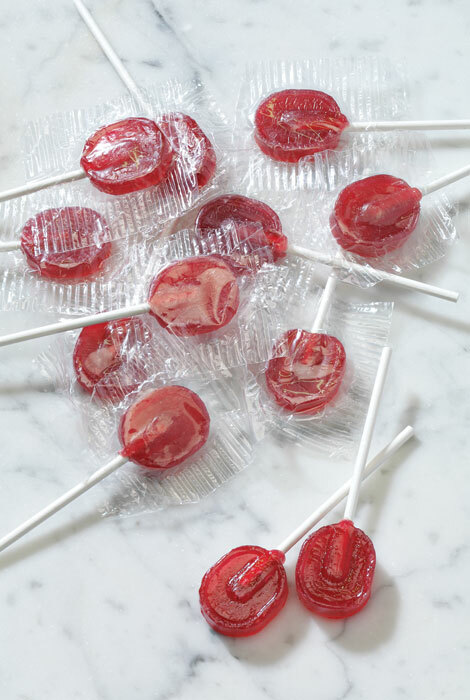 Vitamin B12 lollipops increase energy level, focus, and relaxation! These b 12 vitamins come in the form of candy, making them vitamins you'll enjoy taking! Each fruit-flavored pop delivers mood-boosting B-12, which impacts memory, sleep regulation, and immunity. 30 pops. Vitamin B12 (as Methylcobalamin), Organic Evaporated Cane Juice, Organic Brown Rice Syrup, Natural Fruit Juice (contains apple juice, carrot juice and black currant juice), Natual Goji Flavor, and Citirc Acid. As a dietary supplement, up to two (2) pops may be taken per day for adults and one (1) pop a day for Children. Store in a cool, dry place. Better than going for B-12 shots once a week, just take one lollipop a day. JUST WANTED TO TRY THE B12 LOLLIPOPS. THEY LOOK TASTY. what is the vit. B12 mcg per pop? it also seem like all sugar how many grams of sugar per pop? BEST ANSWER: Thank you for your question. There is 5g per pop. We hope this information will be of help to you. how many vit. B12 lollipops per order? BEST ANSWER: Thank you for your question. There are 30 pops per order. We hope this information will be of help to you.